Home > Insights > How Important is Showing an Economic Impact for Your Marketing Efforts? How Important is Showing an Economic Impact for Your Marketing Efforts? You may have never thought about showing the economic impact for your marketing and advertising efforts, but you’d be surprised to see how far the numbers can span. DMOs, such as Visitor and Convention Bureaus (VCBs), have the remit to drive visitors to their destination or county through providing information about the area relevant to the target audience—be it leisure travel, meetings/groups, sports planners, etc. They may also provide co-op’d marketing materials or advertising for the partners to participate in. Some do have online booking engines for hotel rooms or attractions, but mainly they are to drive demand as an aggregator of their tourism partners, and as such a quantifiable ROI is not just a simple calculation. According to the U.S. Travel Association, in 2016, travel directly generated $990.3 billion and supported 8.6 million travel industry jobs. However, this only tells part of the story, as an additional $1.3 trillion is generated for other industries with the addition of 6.7 million more jobs, thus creating $2.3 trillion total to the United States economy and supporting 15.3 million jobs. That’s 1 in 9 of all U.S. jobs being dependent on travel and tourism. 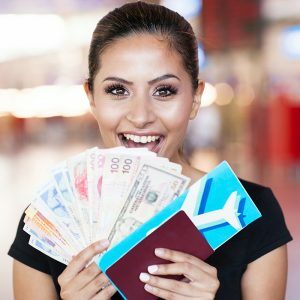 But perhaps a better way to help the average person understand the importance of the industry—even as they complain about tourists driving badly—is that each U.S. household would have to pay an estimated $1,250 annually in additional taxes without the revenue generated by leisure and business travel! Take the example below, it showcases the expenditure for sports travelers—e.g. people that travel to attend their kids’ little league volleyball competition. 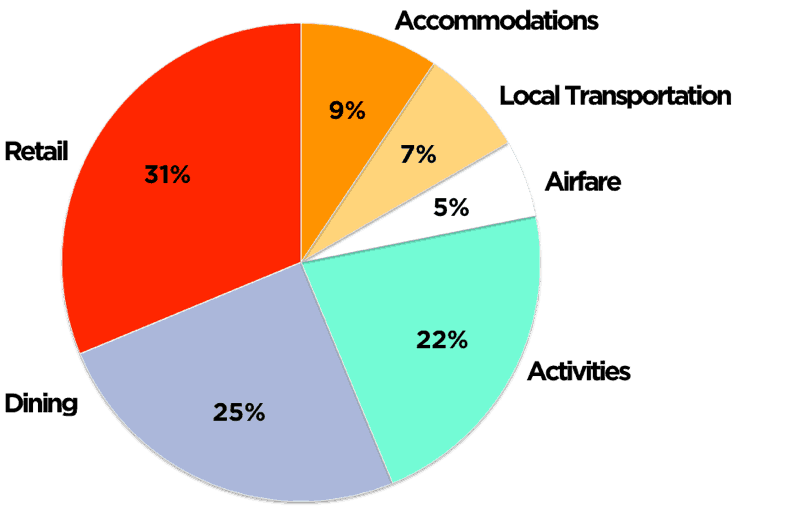 Airfare and accommodations only account for about 14% of the total expenditure, whereas the biggest contributors are retail, dining, and other activities undertaken while there. How Does This Help Locally? Educating others on the overall value of travel and tourism is one thing, but to make this tangible at a given destination requires the setting and tracking of key performance indicators. Certainly, survey based primary research can be used to do this: for example, Downs & St. Germain Research projected the impact of visitors to a Florida destination by calculating the number of visitor days annually and applying that to local taxes generated; it was 40% of total. Looking at Atlanta as a source market, they calculated a return of $10 million based on a marketing outlay of $4 million between the DMO and other partners. complete list, but rather some suggestions towards accountability. Using Google Analytics is possibly the simplest way to attribute marketing activity performance. By tracking the channel source, such as organic, social media, referral, etc., it is possible to define how the visitor arrived at the website. 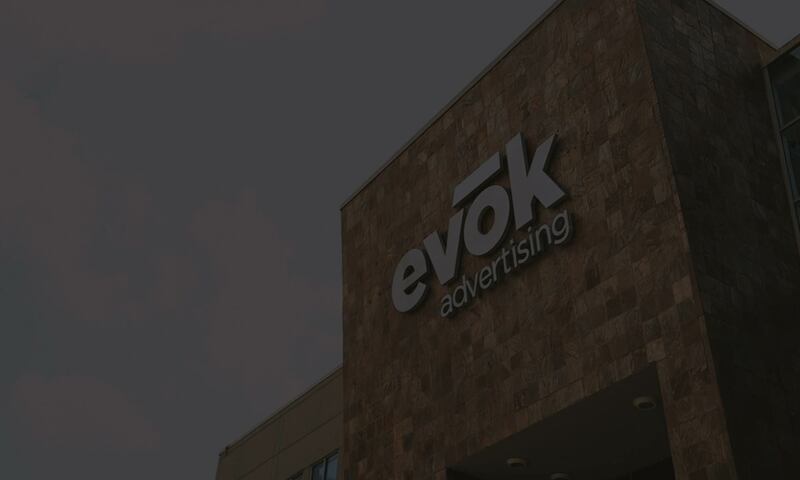 Even online advertising that did not result in a click visit can be attributed through ad servers that track subsequent visits through other sources after being served a banner or video impression. Total visitors and sessions is obviously the top line, but bounce rate, time spent on site, pages of content consumed, and other pre-set conversion metrics (such as reaching a ‘Contact Us’ section) also tell a story about the quality of the audience – i.e. how relevant the content is to those targeted, and therefore likelihood to physically visit a destination. Monthly reporting, comparing both the previous month and the previous year, help to start building trends over time. Any data then (either proprietary, or using that from a similar type of destination’s research) that reports how many visitors we influenced to come to the destination can then be used to allocate a value and therefore ROI to the total marketing efforts. Similarly, the number of guides distributed can be given a value based on their likelihood to drive visitation, and thus the ROI from the spend undertaken to promote them. Technology allows us to target consumers who are demonstrably coming to an area based on their search and purchase behavior. If someone has bought a flight to Orlando and we’d like them to visit our beach for a few days whilst in Central Florida, or extend their business trip to take in golf and cuisine in our nearby county, then we can serve them ads before they leave. The average time between booking that flight and coming to Florida is about 56 days. By matching devices we can then tell if/when they are actually in our area from their mobile device(s). An attribution model will allocate some or all of the value of that visitor to those impressions. This requires more effort, but even excel can do regression analysis that allows you to create models where the input variables include media spend and/or impressions by channel, and the output is destination visitation based on, for example, STR visitation reports. You must take into account the time between inspiration, research, booking and visitation, as well as seasonality. Once set up however, they are easily updated with new data. Anyone who’s worked in destination marketing knows that it’s not possible to please all the stakeholders, all the time, far from it – but we can be accountable. Setting some relevant metrics is better than none, and they can always be improved or added to over time. It’s not an exact science, and it might be necessary to make some assumptions, but trends are relative and provide valuable data that helps improve strategy and tactics. After breaking down the numbers, economic impact becomes real. So, whether you’re measuring the economic impact of a destination, the launch of a new consumer packaged good, or even a new marketing strategy or tactic, having the ability to show the positive fruits of your labor will increase stakeholder confidence and potentially increase budgets for your next opportunity.